To calculate quilt size, add the amount of drop (the part that hangs over the edge of the mattress) and the tuck (part that folds under the pillow). 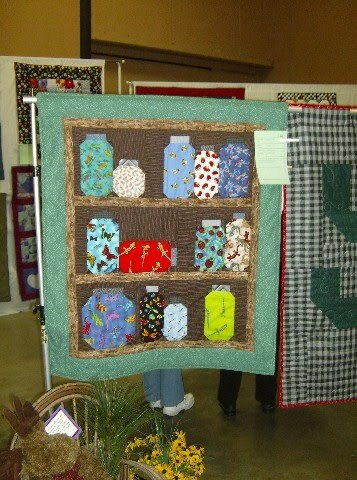 The quilt to the left is one of my favorites. It is not all that big, but it is big on character. I would love to do one just like this - or just have this one. The quilt to the right is a beautiful rendition of the double wedding ring quilt. This was done by the featured artist, Ruby Lee Foster. 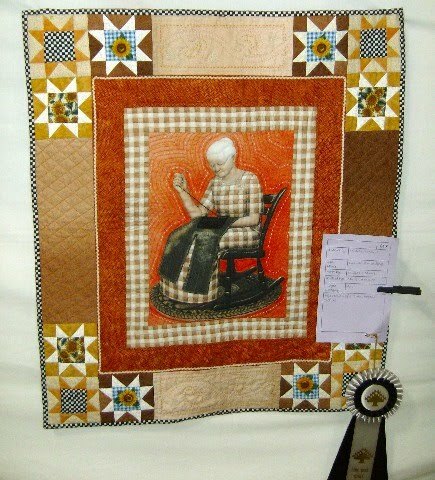 She had some beautiful quilts on display and was such a gracious quilter. 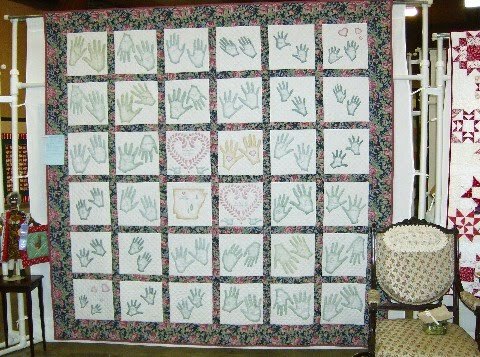 Ms Foster also did a beautiful signature quilt. See below. The hands were beautifully colored. 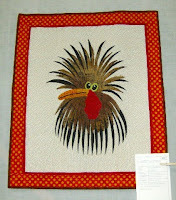 I have the rooster pattern to the left but have not made it yet. I bought it in January, I believe. After seeing this one made up, I have to get the pattern out and get busy. Too cute. left is one done by a teenage boy. He did such a wonderful job. I was quite impressed. His sister did one, too. 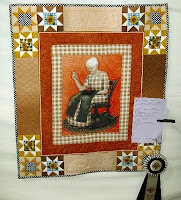 It was a western quilt with cowboy boots and hats. Very nice. I love it. What a great idea and an easy way to use all those great ties your husband wore to work until he retired. I want to keep this one. I may just do it some time. 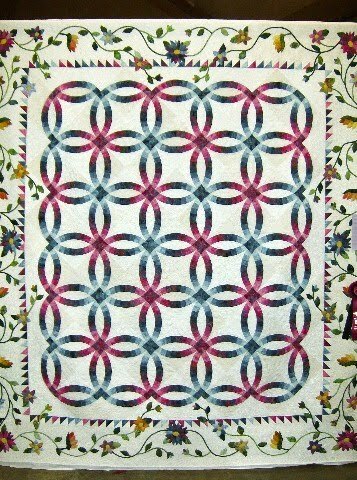 Look of those bow tie blocks in the border. Great addition to the quilt. 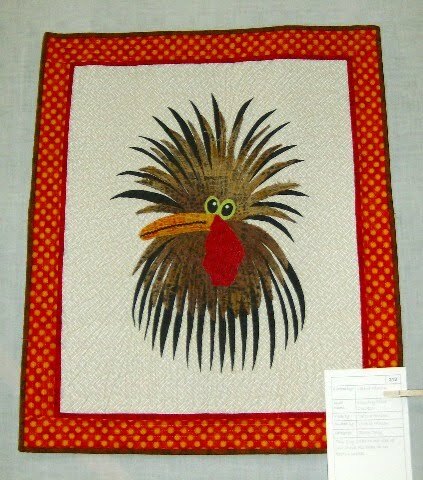 Now you see why I love to go to quilt shows. So much to see. So much to do. Really gets me revved up to do some sewing. 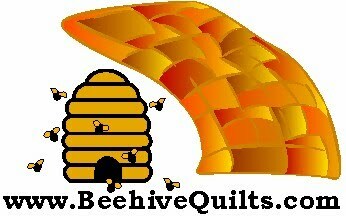 I should start going to them on Sunday, though, because I come home and do not go right into the sewing room. Monday is one of my sewing days. I have to hold on to the impetus all the way through Sunday. 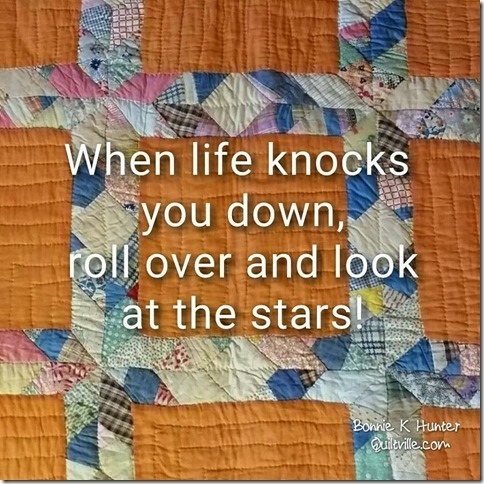 Enjoy your quilting time. I know I do.